1. Who can benefit from a recliner? Everyone can do with a little R&R! 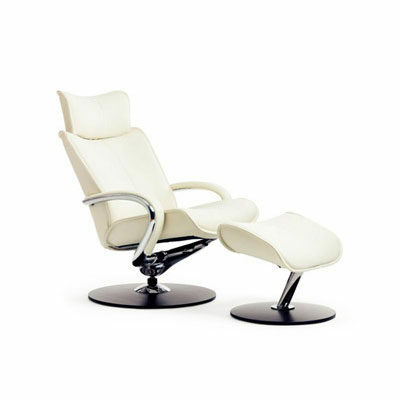 A recliner provides excellent back support, relief and relaxation for anyone. Your lower back has a slight natural forward arch known as the lumbar curve, but when you sit down it tends to curve back towards the chair, creating strain. A recliner relieves this strain by mimicking the natural shape of your spine to provide lumbar support. Those with back pain and other spinal conditions can especially benefit from sitting in a recliner. New mums may also find sitting a recliner beneficial as it is comfortable for nursing or feeding a baby. 2. Does the size of the recliner matter? Yes, it does. The recliner should suit the height of its occupant. The headrest should be at the right height and angle to properly support the head and neck, and the feet should rest comfortably on the floor, or on a footrest or footstool. If persons of different heights are going to use the recliner, consider a recliner with an adjustable headrest. There is also the width to consider, as recliners come in different sizes to accommodate individuals of various shapes and sizes. 3. What additional functions should I consider? 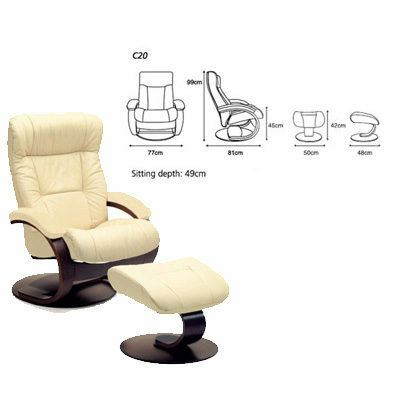 There are many types of recliners for different needs and lifestyles. The soothing motion of a rocker recliner can help you relax, and even lull you to sleep if you have problems getting some shuteye. 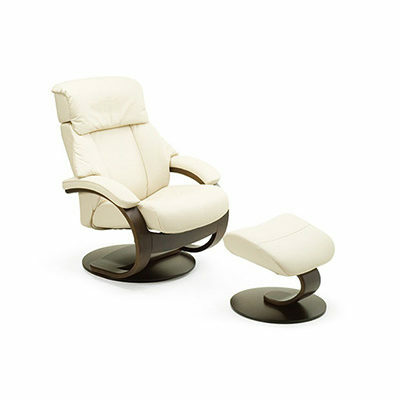 A rocker recliner is especially soothing for nursing mothers and babies. Recliners with a swivel function allow you to rotate, adding convenience to your comfort. If you like an occasional massage, add a separate back massager pad to your recliner for the best of both worlds. 4. How much space will I need? 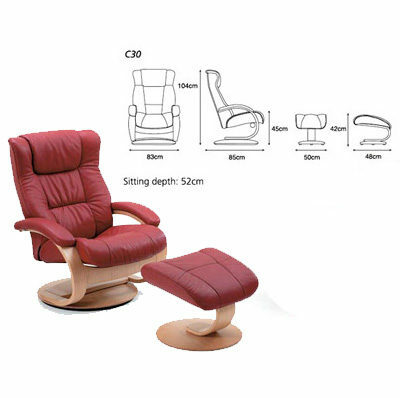 Recliners usually require 30 to 90cm of space behind it, depending on the full extent of recline. If you live in a small apartment, consider a wall-hugger recliner, which moves the seat forwards as it reclines and can be placed 5 to 15cm away from the wall depending on the model. 5. Is the recliner frame well-constructed? Well-built recliners may cost more, but they last longer. Check that the frame is made of good quality wood and the joints are reinforced. Hardwoods like beech and teak are the strongest though most expensive, while engineered woods like plywood are cheaper but not as durable. Remember, you get what you pay for, so it’s worth investing in a quality recliner that will give you lasting comfort. 6. Leather or fabric upholstery? Leather is a classic, elegant choice that ages well, developing a natural burnished finish and a softer texture over time. The durability and scratch-resistance of leather vary greatly with its quality, so be sure to choose grain leather for a recliner to last. Grain leather is 100% cowhide, and the most enduring upholstery material on the market. 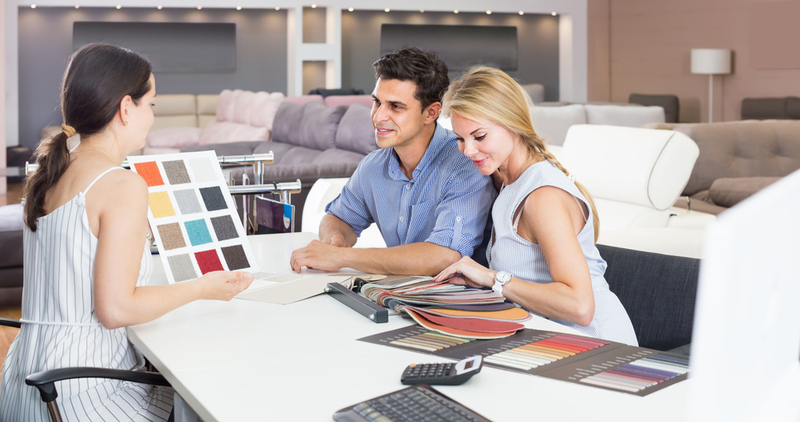 Bonded leather alternatives are only partially real leather and may be less expensive, but will suffer damage more easily. If you prefer a different texture or look, many fabric alternatives such as wool and suede are also available. 7. Should the recliner complement my room décor? Ideally, yes, to ensure a stylish fit. 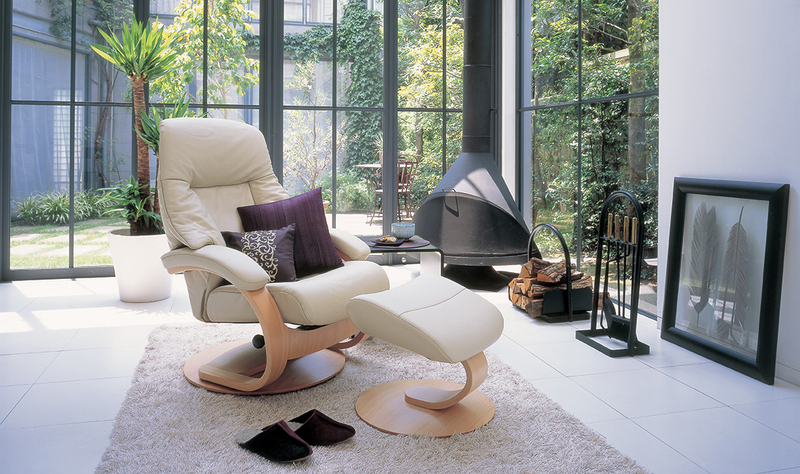 Whether minimalist chic or cosy and casual, there are recliners of different designs to complement your room. Recliner designs range from the traditional to sleeker and more contemporary models like the push-back recliner that has no visible handle. Recliner upholstery also comes in many colours, patterns and textures. That said, though having your recliner match your room’s aesthetic is a definite plus, don’t forget that comfort should still be top priority when shopping for a recliner. The Fjords® Manjana C20 Recliner combines form and function in a sleek and tasteful design crafted to international standards. Experience unparalleled comfort with its ergonomic support and plush top-quality grain leather, as well as the gentle motion of its rocking function. The unique Active Release System™ has an adjustable lock on the reclining mechanism which allows you to adjust the angle of the recliner for the best neck and back support. 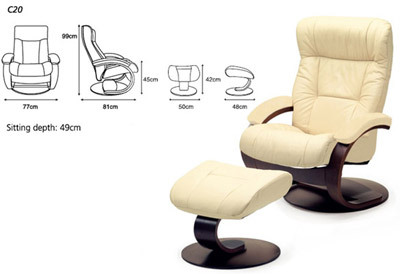 A 360°-swivel function completes the recliner with convenience. The Manjana is made with only the finest European beech wood for its longevity, lacquered and laminated for timeless style, and will be a striking and lasting addition to your home. Enjoy a 1-for-1 promotion when you purchase a Fjords® Manjana C20 Recliner till 30 June 2018 and get a Fjords® 215 Recliner or Fjords® 775 Recliner for free.